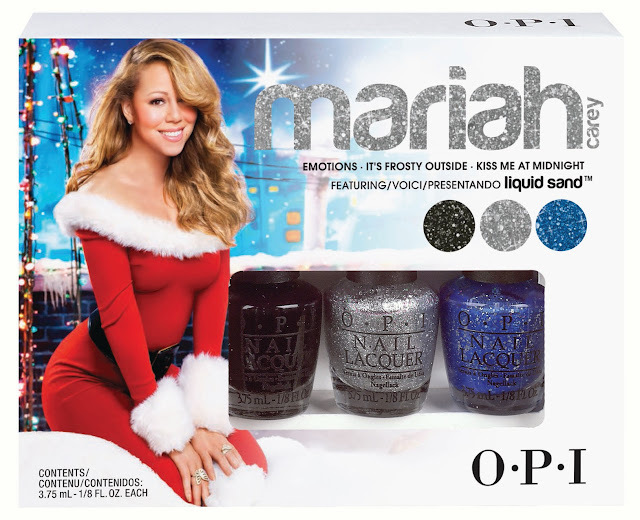 Never Enough Nails: OPI Launches 4 New Mariah Carey Holiday Gift Sets! 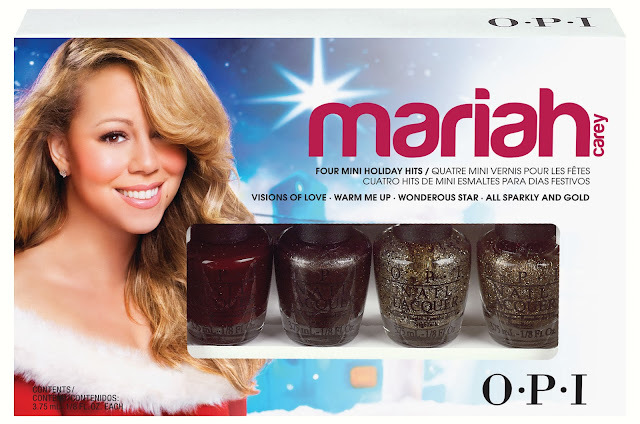 OPI Launches 4 New Mariah Carey Holiday Gift Sets! Mariah Carey Holiday nail lacquer shades each feature OPI’s exclusive ProWide™ Brush for the ultimate in application. Liquid Sand nail lacquers should always be worn without top coat. Mariah Carey…The Look, Mariah Carey Mini 3-Pack/Liquid Sand andMariah Carey Mini 4-Pack will be available October 2013, at Professional Salons, including Beauty Brands, Beauty First, Chatters, Dillard’s, jcp Salons, Pure Beauty, Regis, Trade Secret, ULTA and ulta.com. Mariah Carey…The Look retails for $19.95 ($24.95 CAN), Mini 3-Pack/Liquid Sand retails for $9.95 (12.50 CAN), each set and Mini 4-Pack retails for $12.95 ($14.95 CAN).